Long airport layovers can be be very frustrating thing or lots of fun. For many travelers, a layover is a painfully boring delay but with right amount of time and attitude, airport layovers turn into extra travel bonus that allows you to get out and explore. 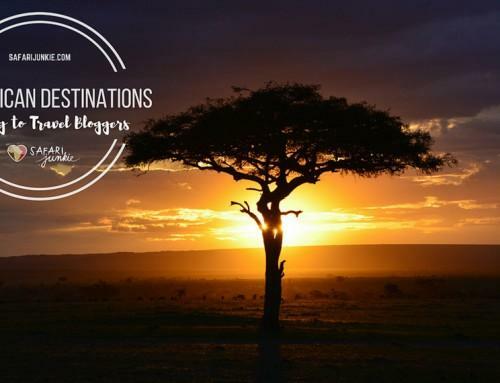 Below are travel tips from travel bloggers to help you find ideas what to do on a long airport layovers throughout the world. 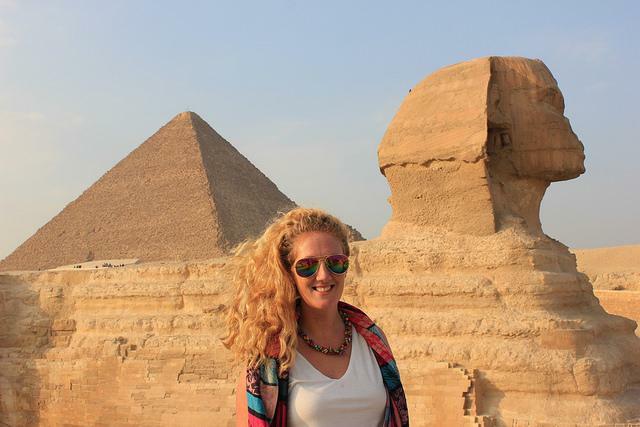 If you have a long layover in Cairo you will be surprised how much you can see in one day, or even just a few hours. 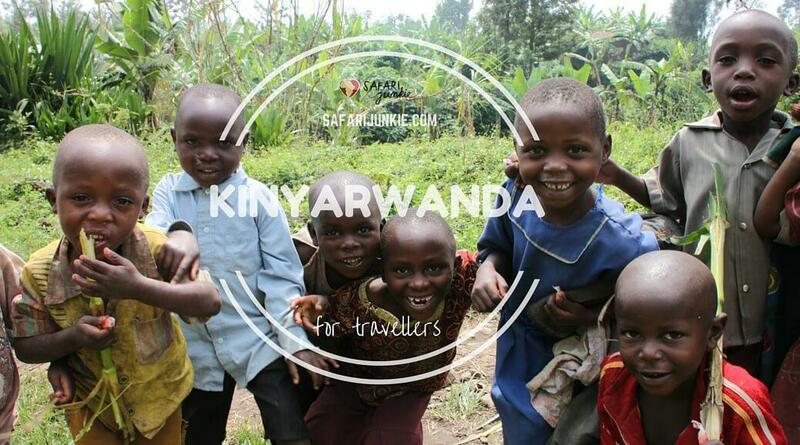 You can higher private transfers before you arrive and just hire a guide to take you you to all the best spots. The Great Pyramids of Giza, for example, are right in the middle of the city. Traffic is pretty crazy in Cairo, so you would need to leave an absolute minimum of one hour to get to the city and another hour to get back to the airport, sometimes even two. Another great place to visit is The Egyptian Museum – the longer you can spend here the better but even an hour is better than nothing. Be sure to taste some delicious Egyptian food – even if it’s just a street kebab – before you set off to your next destination. 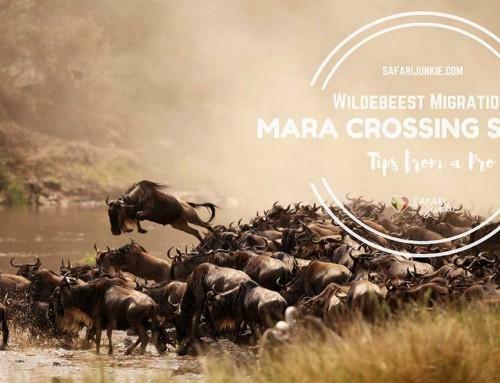 Nairobi has some exciting attractions for a long layover without venturing too far into the city. 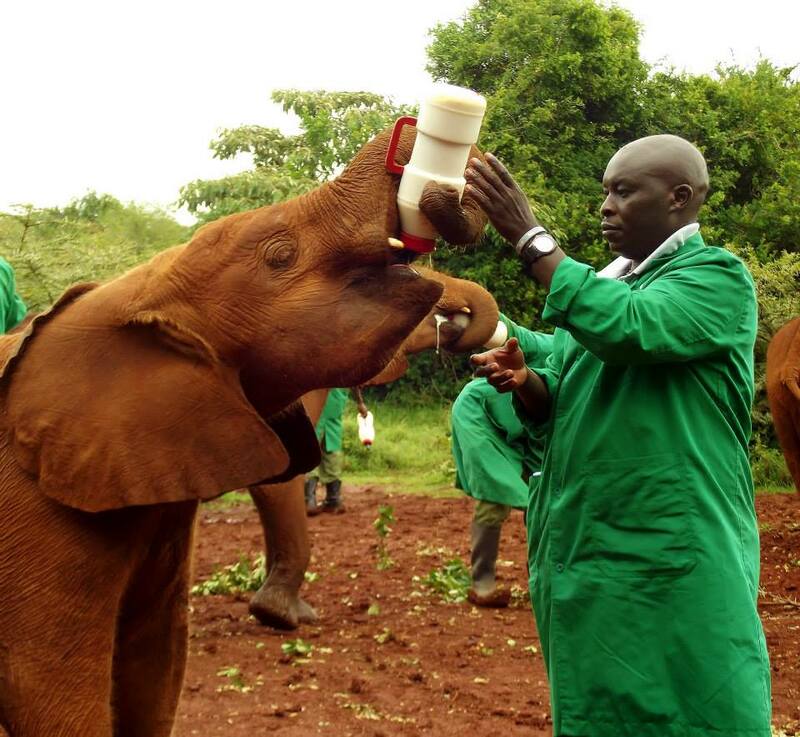 The David Sheldrick Wildlife Trust rescues orphaned elephants and rehabilitates them for reintroduction to the wild. The orphans programme is open to visitors from 11am to 12pm every day. You will see the elephants interact with their keepers, roll in the mud and feed from a bottle. If you have a later layover, you can adopt an elephant online and make an appointment to visit at 5pm instead. This option is only available to elephant “foster parents” and allows you to watch the elephants be put to bed. Some of babies sleep under blankets, with their keepers by their side to feed them through the night. It is a very tender moment to witness. For a more “hands-on” wildlife encounter, visit the Giraffe Centre. 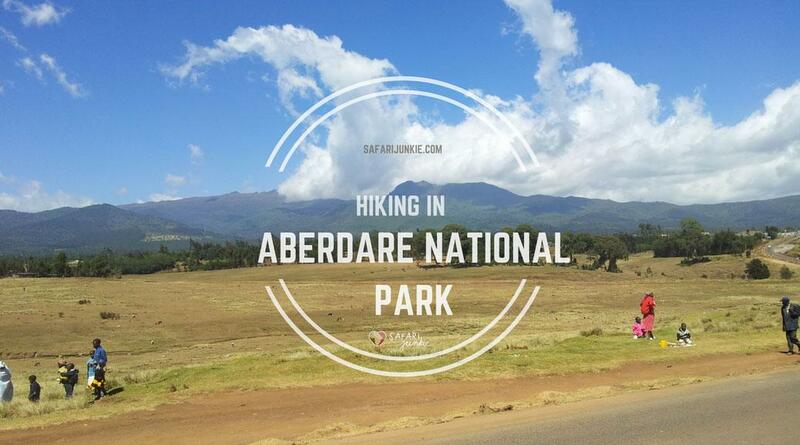 Located also in the Karen area, it is not too far from the Sheldrick Orphanage. 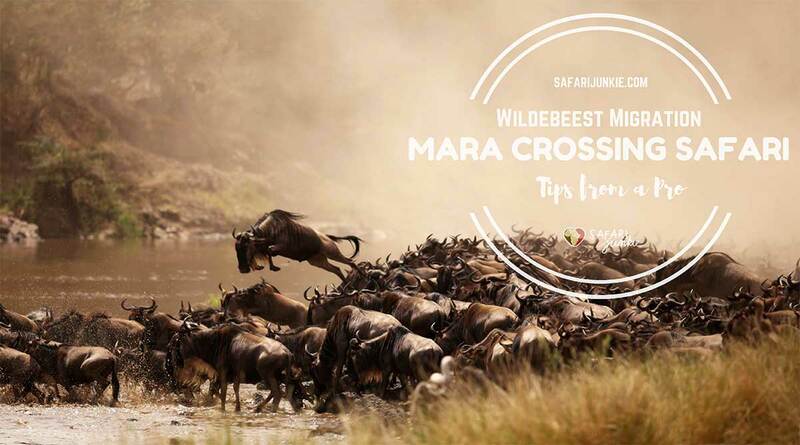 The main attraction is the viewing platform where you can feed the rare Rothschild giraffe. 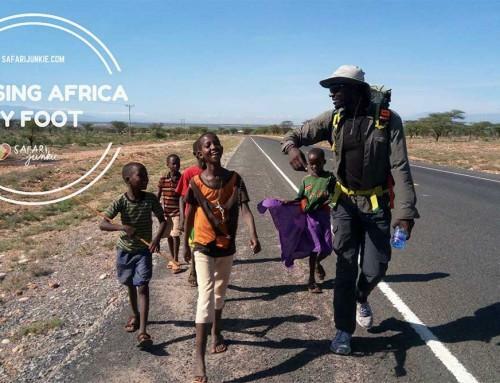 The centre provides conservation education to local schoolchildren so you know your entry fee is going to a good cause. 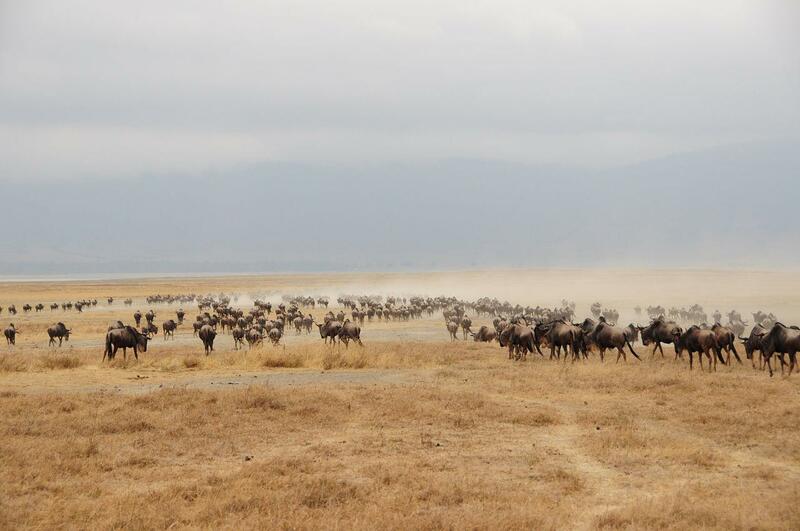 Nairobi can seem intimidating but its attractions are not. Don’t be afraid to get out of the airport and explore. I promise, it’s worth it! 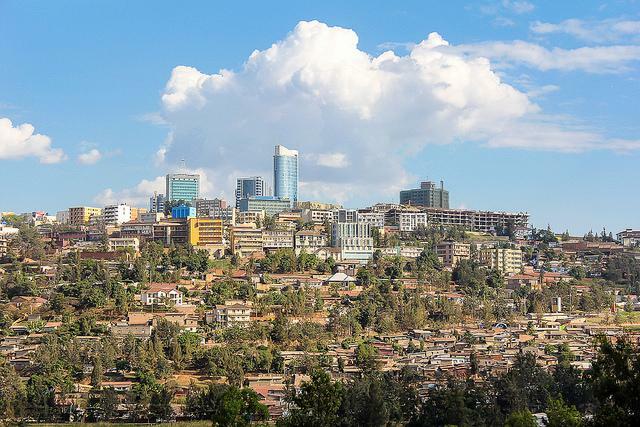 Kigali is the capital city of Rwanda. It is a small town in a little country. With just over a million people, it is easy to start exploring, even if you have only have a little bit of time. The sights around the city will help you understand both the harsh history of the country, but also the bright future for which it is poised. 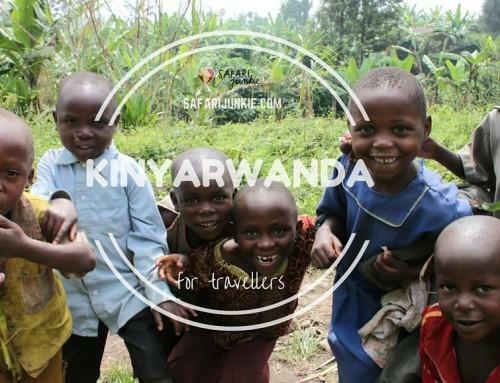 The airport is just 25 minutes from the Kigali Genocide Memorial, which is a great first stop and the one to prioritise if you are super short on time. 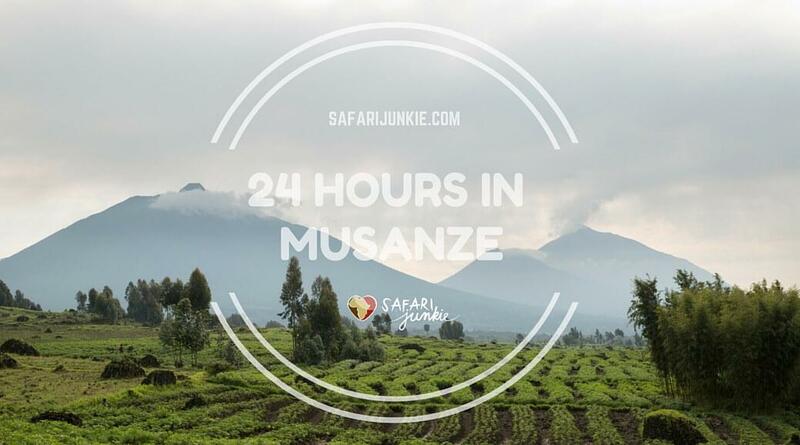 Designed as a museum to help people understand the genocide in Rwanda in 1994, it provides a viscerally educational experience that will leave an impression on you for a long time. 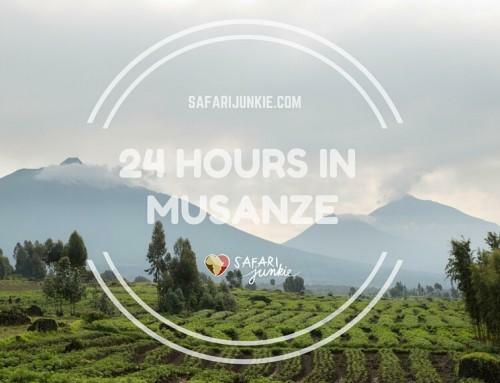 Afterwards you will likely want a quiet place for reflection, and Shokola Café provides a great place to do this, as well as a glimpse into the hip modern culture that is alive in Rwanda. Enjoy ground coffee, fresh juice, and their famous carrot ginger soup. If you have a bit more time, pick-up some gifts for the family back home. 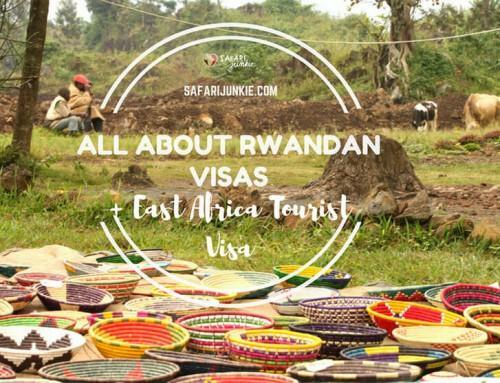 The Caplaki Craft Village has some excellent Congolese masks from just across the border, and Ivuka Arts showcases some of Rwanda’s best local painters. Minimum layover time: 8 hours. 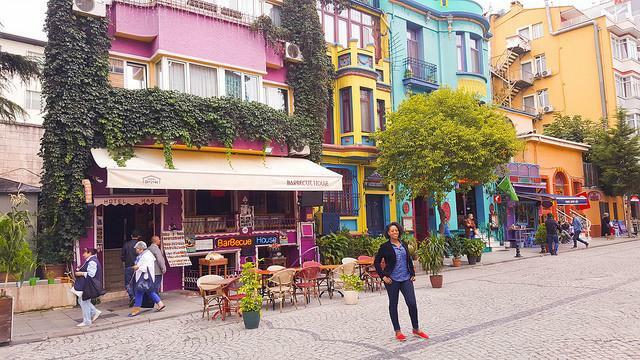 In Istanbul, there are several ways to spend a long layover. If you’ve got 8 hours to spare and you’re flying on Turkish Airlines, they offer a free city tour that leaves from the airport. Depending on the tour, you’ll hit the highlights of the city and they’ll even treat you to lunch (or dinner) before taking you back to the airport. If you have more than 8 hours and a few bucks to spare, I’d suggest booking your own guide. A friend set us up with one of the top guides in Istanbul and he recommended we book a private driver. At first, I thought this was going to be out of our price range but I was surprised by how affordable it was. With a driver, we didn’t have to worry about taxis, public transportation, or parking so it gave us a chance to chat with the guide as he pointed out the sights. On our tour, we visited Hagia Sophia, Blue Mosque, Basilica Cistern, the Spice Bazaar, and a few other stops before we finished the day with dinner (also recommended by our guide). For $250 ($150 for the guide – $100 for the car/driver), we got to see Istanbul on our 16-hour layover and it was worth every penny! Minimum lay over time: 8 hours. 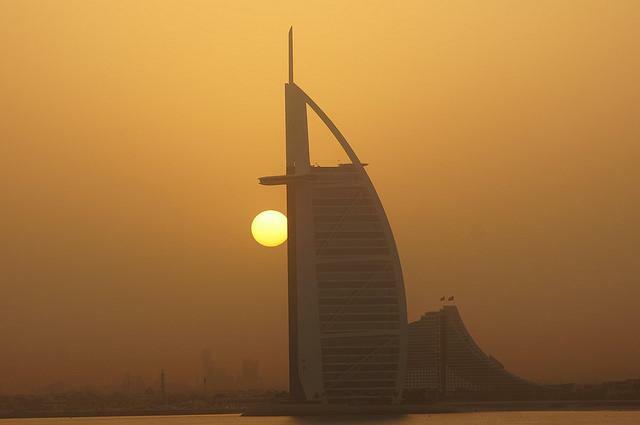 Dubai is becoming more popular every year, and it’s no surprise. It’s a city full of so many activities and unique skyscrapers. If you have a long layover in Dubai, we would highly recommend taking the Metro from the airport to Dubai Marina. It is our personal favourite place to explore. The following we would highly recommend doing: Take a long walk along the boardwalks in the marina. Make sure to take photos of the stunning skyscrapers, luxury yachts and the odd supercar! Have a meal at one of the Arabic restaurants along the boardwalk, and ask for an outside table to really soak up the marina. If you’re up to it, have a traditional Shisha! 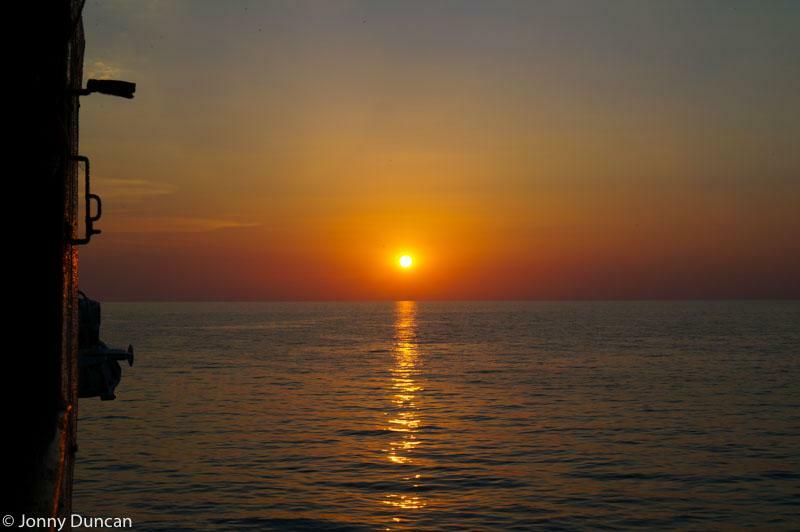 If you’re flight isn’t until early morning, we highly recommend that you take a Captain Jack Cruise during sunset, they depart from the marina and have wonderful views of the city and marina. If you have a really long layover you may have time to take a tram to Jumeriah beach to soak up the sun a bit.If your layover is longer than 6 hours we would definitely suggest you head into Dubai, you won’t be disappointed with what it has to offer! Want to explore more Dubai? There are at least 50 Things to do in Dubai if you have more time! Lacking preparation I didn’t know that even fully covered I wouldn’t be able to enter Sheikh Zayed Grand Mosque in Abu Dhabi, one of my highlights of my 10 days long trip to UAE last year. Long trousers, a long blouse, and a proper scarf only took me to the changing room before entering the mosque grounds. From there on I had to dress in an abaya (traditional robe) and a Shayla (headscarf) on top of all the clothes I was already using. I won’t lie to you. It was hot and I barely could move while trying to keep everything in place and not show my hair as the Shayla would keep falling down. It felt everything but comfy or appropriate in the beginning, but as I walked inside and saw every other girl in there dressed all in black as I was, I soon got used and forgot about this issue. So much that I could not help it but take a couple of mirror selfies before leaving the mosque… in the restroom! Minimum layover time: 10 hours. Doha is a dynamic city, and with Hamad International Airport being centrally located, it’s super easy (and cheap!) to jump in a cab and explore the city’s main attractions during a layover. Head to the Doha Corniche first and stroll the tree-lined promenade to stretch your legs while taking in the stunning views over the harbour. 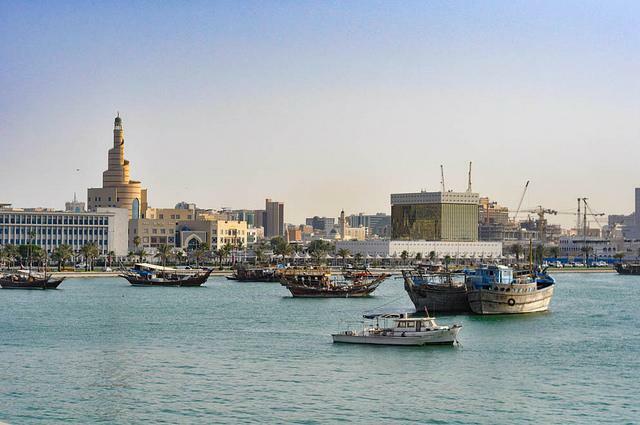 From the Corniche, walk to the Souq Waqif – the bustling cultural heart of Doha. The souq is the perfect place to people watch while enjoying a refreshing mint soda and shopping for unique souvenirs at the stalls. Continue along the Corniche and you’ll find the Museum of Islamic Art perched on its own man-made island in the harbour. 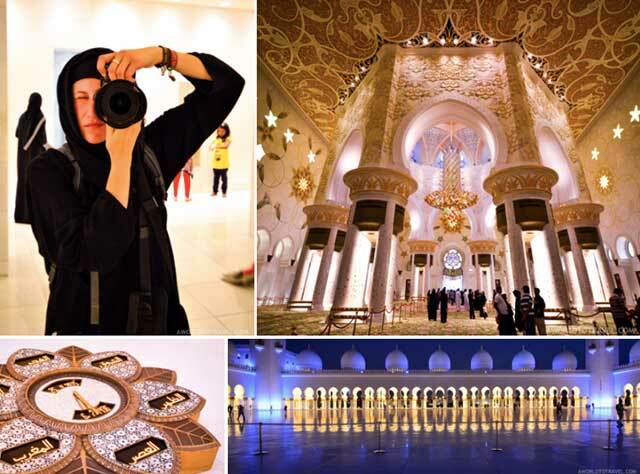 It’s free to enter and offers a lovely air-conditioned respite from Doha’s humid air. Those looking for adventure during their layover can skip the city and head straight to the desert for dune bashing fun on 4×4’s. With both full and half day tours available – you only need as little as 4 hours to experience the wild side of Qatar! Mumbai or Bombay, like New York, is a city that never sleeps. 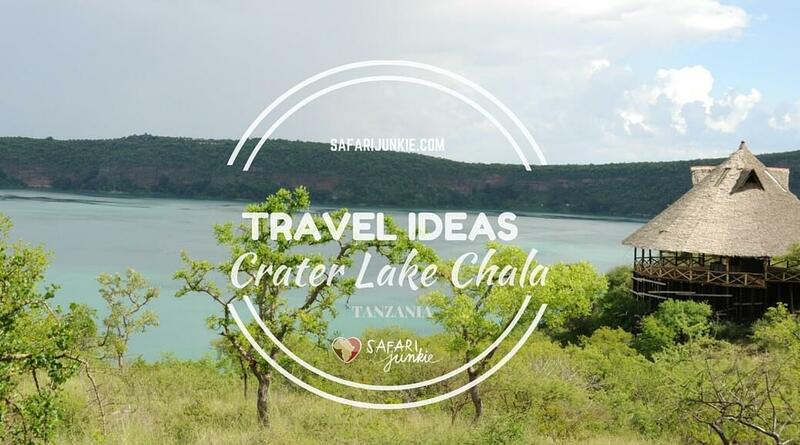 This land of big dreams and great extremes has stuff for everybody from art lovers to foodies and shopaholics to see and do ranging across various budgets too. And South Bombay is a great place to start. 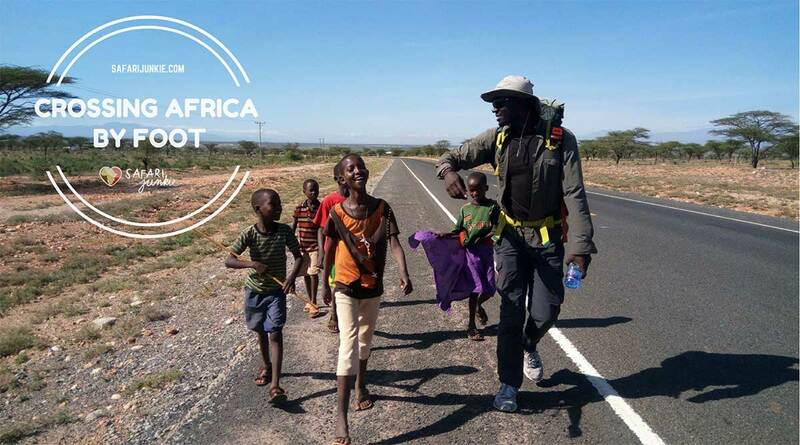 While it may be 27 km from the international airport, there is loads to explore here by foot that epitomizes this great city. Your first stop should be the waterfront Gateway of India in Apollo Bunder. This 20th century monument, incorporating Islamic styles of 16th century Gujarat, is always bustling with tourists, both local and foreign, as well as all kinds of vendors peddling their fare. It faces the iconic Taj Mahal Palace, India’s second-most photographed monument, built in 1903 and the first hotel in India to employ women and have electricity (and fans). The Sea Lounge here offers spectacular sea views while you sip on exotic teas and coffees a short distance from the teeming multitudes. Alternatively you can head to the labyrinth of rock-cut temples created between AD 450 and 750 on Gharapuri, better known as Elephanta Island, a Unesco World Heritage Site. 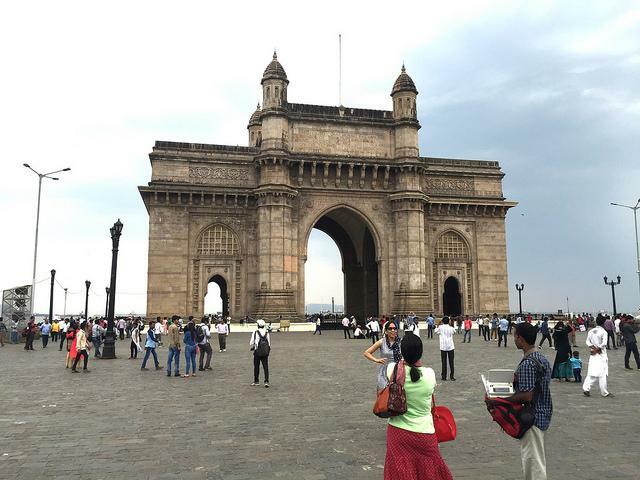 Launches from the Gateway of India leave every half-hour between 9am and 3.30pm. The trip takes about an hour. Colaba Causeway is by default your next stop as it is a few metres from the Taj Palace. From cheap, street clothes to fashionable boutiques, this lane, with old buildings from the British Raj, has it all. Colaba also houses Indigo, a colonial-era property that serves delectable European/Asian fusion cuisine. The more modest Trishna at Kala Ghoda, about 1.5 km away, offers equally scrumptious South Indian seafood. Jehangir Art Gallery in Kala Ghoda and the impressive 15th-century French-Gothic University of Mumbai just across the road are also worth a visit if time permits. If you have an additional three hours to spare, take a private, educational tour of Dharavi, one of the world’s largest slums, and meet the local, very enterprising residents. Home to an estimated 15,000 single-room factories, this is also a great place to shop for leather bags and jackets. En route to the airport, the following are also worth visiting or just driving by: Dhobi Ghat, a 140-year-old, open-air laundromat, where an estimated half a million pieces of clothing from hotels, hospitals, and homes are washed every day; and Haji Ali Dargah, a mosque and tomb located on an islet off the coast of Worli, resonating with legends of miracles and doomed lovers. If you find yourself in Hong Kong with a long layover get out of the airport and explore the city. 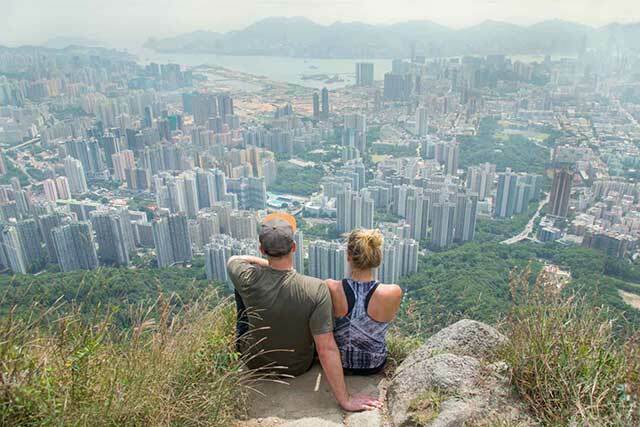 If your layover is more than 6 hours you have enough time to stuff your face with dim sum and a check out a few things to do in Kowloon. Right at the airport you can jump on the Hong Kong airport express and in 23 minutes exactly you’ll be on Central Hong Kong Island for only $8. Hong Kong travel tip book the airport express ticket online in advance to avoid waiting in line at the airport and cheaper rates. Right in the Central MRT station is Tim Ho Wan’s the world’s cheapest Michelin-star restaurant, two people can easily eat dim sum for under $15 USD. If your layover is at night take the tram up to Victoria Peak, and your short on time take an taxi up it’s actually cheaper & faster than the tram. Hong Kong is an amazing city and a great place for a long layover. Both Narita and Haneda airports are far from the main tourist areas in Tokyo so allow 2-3 hours for total travel time to and from the airport. Take the train to Shibuya station and you’ll find yourself in one of the most popular areas of Tokyo. Just outside the station is the statue of Hachikō, a dog remembered for his loyalty to his owner 9 years after his death. Walk through the intersection and you’ll be in the middle of one of the busiest crossings in the world – the Shibuya crossing. Go to Starbucks and spend 15 minutes watching the crossing (I promise you it’s fascinating). Find any Ichiran Ramen for a delicious Japanese dining experience and typical Japanese dining experience – small booths and quick service (in and out in under 15 minutes). From here you can either walk 20 minutes or catch a 3-minute train to Harajuku Station. 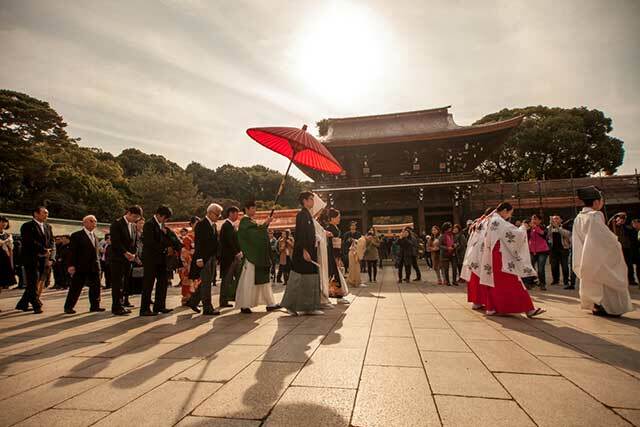 Head to Meiji Shrine, a shrine dedicated to the spirits of Emperor Meiji and his consort, Empress Shoken and hopefully you get to see one of the many weddings that takes place every week. You can also check out the nearby Yoyogi Park if you have time. After some time sightseeing, go back towards the station and try takoyaki from Gindako, a very prominent takoyaki chain, before heading back to the airport. Although Singapore has one of the best airports in the world, it is still worth leaving the airport to see the city during a long layover. Singapore Changi Airport even offers two different free tours for passengers with layovers over 6 hours. There are lots of things to see and do in Singapore during a long layover. If your timing works, I recommend joining one of the free tours from the airport which will take you to several Singapore attractions, but you can easily see the city on your own. If there is one attraction not to miss in Singapore, I would pick the Gardens by the Bay. The Gardens by the Bay are indoor gardens that are worth visiting both day and night. If visiting the Gardens by the Bay after dark, make sure to check out the music and light show at the Supertree Grove. 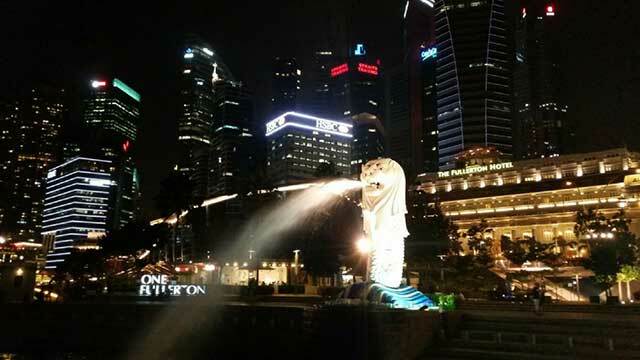 Other things near the Gardens by the Bay worth seeing include the iconic Marina Bay Sands and the Merlion statue. For those with more time, I recommend checking out one or more of Singapore’s ethnic neighborhoods (Chinatown, Little India or Kampong Glam) for some shopping or grabbing a bite to eat. Mimum layover time at Singapore airport: 5 to 6 hours. If you have a long layover at the Beijing Capital Airport and want to leave for a few hours to have lunch, or…visit the Great Wall, you’ll have to get a 72 hour travel visa. There is a special line where you show your passport, boarding pass for connecting flight and explain why you want to leave the airport. I explained that I’d scheduled a Great Wall Layover Tour and was quickly on my way. My driver Sun was waiting holding a sign with my name on it. I felt like I was in a movie! 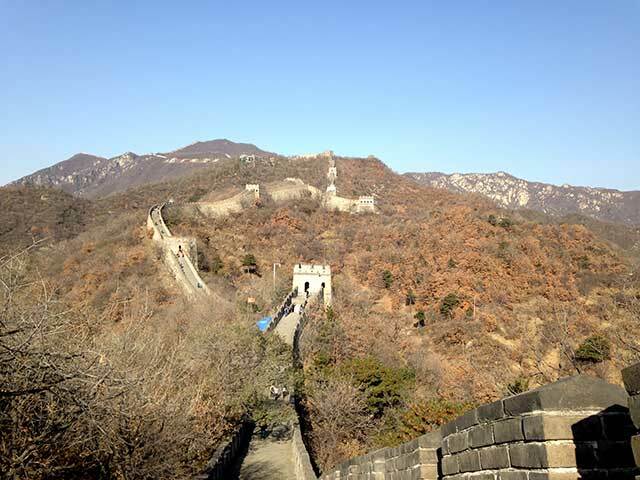 My tour costed $120 and included; airport pickup and drop off, a Non-English speaking driver, air-conditioned car, visit to the Mutianyu section of the Great Wall and entrance fees. The Mutianyu section of the Great Wall is a little over an hour away from the airport. Which could be awkward if your driver doesn’t speak English. Luckily music is a language of its own. We were soon singing Thriller while driving through the tree-lined roads of Beijing. After three hours at one of the New Seven Wonders of the World I hopped on the bus and headed to meet Sun. When I got off the bus I walked through a courtyard filled with shop owners, street vendors and a Burger King. I found him and we walked to the car and headed back to the airport. This time listening to the Suicide Squad soundtrack. Kuala Lumpur, the Malaysian capital, often referred to as KL, is one of the most international cities in Asia. We simply call this city the melting point of Asia because of the variety of Malaysian, Chinese, Indian and other ethnicities that you can find there. KL definitely deserves a visit, if you have a layover longer than 6 hours – you can get to the city center in just an hour. There are many great things to do in Kuala Lumpur, but during a layover you should focus on the essence. 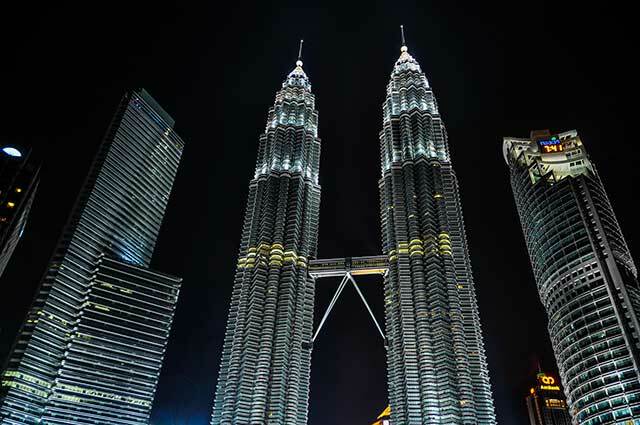 The Petronas Towers are the symbols of the city, and you will feel amazed just by standing under these huge twin skyscrapers. Chinatown is the most fascinating neighbourhood in Kuala Lumpur with lots of small shops and stalls, where you can bargain on almost anything you can imagine. In and around Chinatown you can visit beautiful Chinese pagodas, Hindu temples and mosques, and when you get hungry, you can enjoy the many different flavors in some of the great food courts you can find there. In Merdaka Square you will be flattered by beautiful colonial architecture, and if you still have some time left, you can visit Jalan Bukit Bintang, the commercial area of the city with lots of great shopping malls. 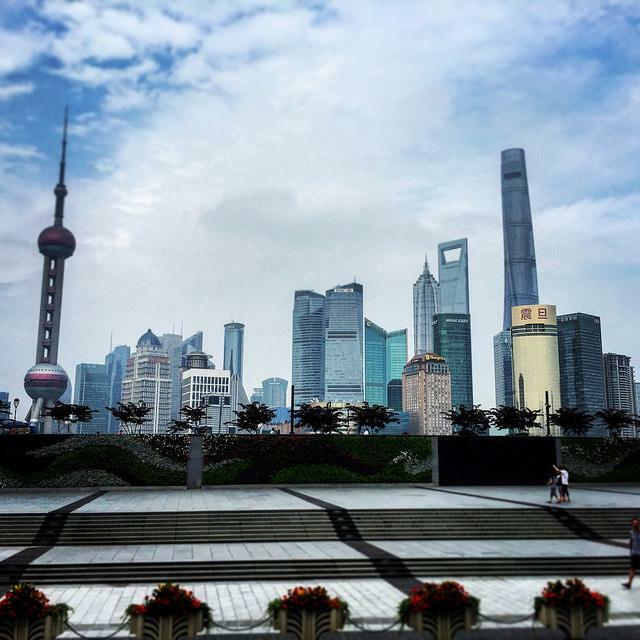 Last year, I visited Shanghai for just a day between a flight to Beijing and Suzhou. Shanghai is very easy for Westerners and they have a strong train system (they also have Uber!). Here is what I recommend: Start your day off downtown in one of Shanghai’s hippest neighbourhoods – West Nanjing Road. While we were there models were walking around taking pictures and an artist was spray painting a colorful mural. If you have more time, go into local stores where they have unique finds or eat lunch at a cute cafe; then walk over to Jing’an Temple to experience a Buddhist Temple. From there, take the train and visit the beautiful gardens YuYuan. There are lovely little streets and flowers to walk though. You can easily spend an hour or two here. After going through the gardens, hop on a train and head over to Jin Mao Tower. You can visit the 88th floor of this building and get an incredible view for Shanghai and the river. It took us about an hour to get through line, to the top, and down. Leave the airport in Shanghai and you won’t be disappointed. Have fun exploring! One of the only things worse than a long flight is a long layover. But if you’re stuck at the airport in a city like Amsterdam, having a few extra hours can be really rewarding. Schiphol Airport is designed with travelers in mind. In addition to a wide variety of shopping and dining facilities, there is an onsite art gallery showcasing classic paintings and a green space where you can relax in a park-like setting. If you still want more, you can get a massage at the spa or freshen up and take a quick nap at one of the partner hotels. If you have eight or more hours to spare, it’s worth a trip offsite and into the city itself. 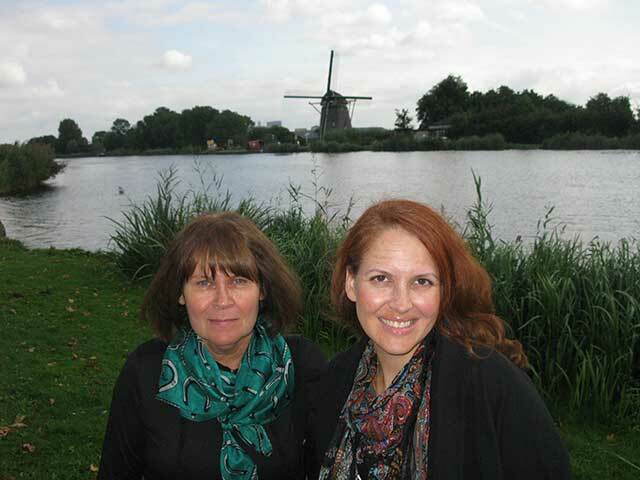 Amsterdam is only a 15-minute train ride away, and service runs 24 hours a day. But as many people will attest, Amsterdam is not the easiest city to navigate. So if you want to play it safe, it’s easy to book a guided tour that starts right at the airport. For everything from historic city walks to views of windmills and visits to quaint country towns, there is something for everyone. Paris is one of the most fascinating cities of Europe and it is certainly worth a visit if you have a layover in this beautiful city. You can spend a week in Paris visiting museums, exploring the different neighbourhoods, but you can also see some of the few highlights in a few hours. 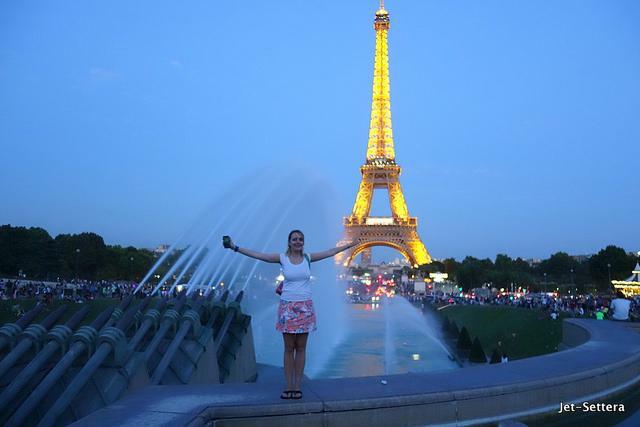 Take the RER from the airport and visit the Eiffel Tower. It is the most important landmark of the French capital. It is especially beautiful at night, when it is all lit up. If you have time, take the elevator to the top to see the entire Paris from above. From the Eiffel Tower, you can walk to Champs Elysee to check out the luxury shops and the Arc de Triomphe de l’Étoile in the Western end of the avenue. It is one of the most important monuments in Paris. The Champs Elysee is the heart of the city. It is a wide avenue, with lots of great shops and restaurants and touristy places. If you have more time, go up North to Montmartre and visit the Sacre Cour church. Its my favourite place in Paris. 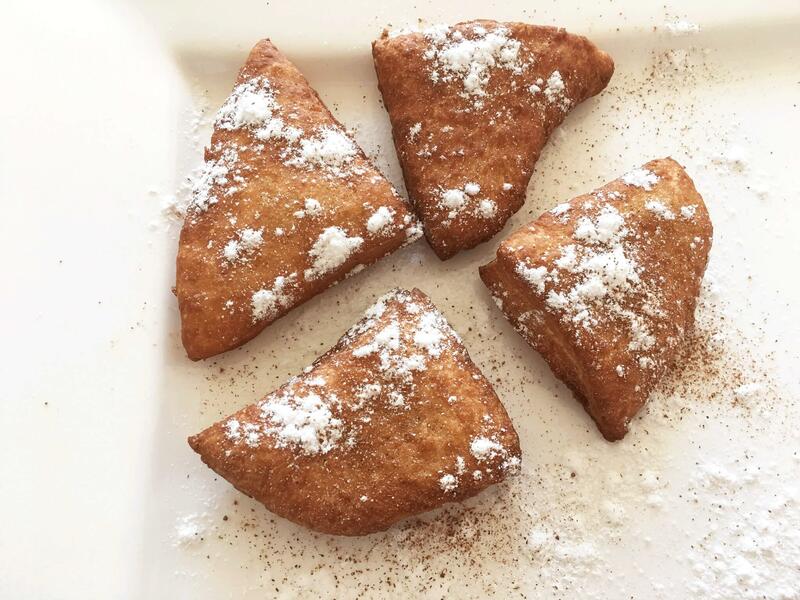 Stop by a pastry store and have some delicious pastries. I also recommend some typical French dishes for lunch, such as Beef Bourgingon or Steak Frites. 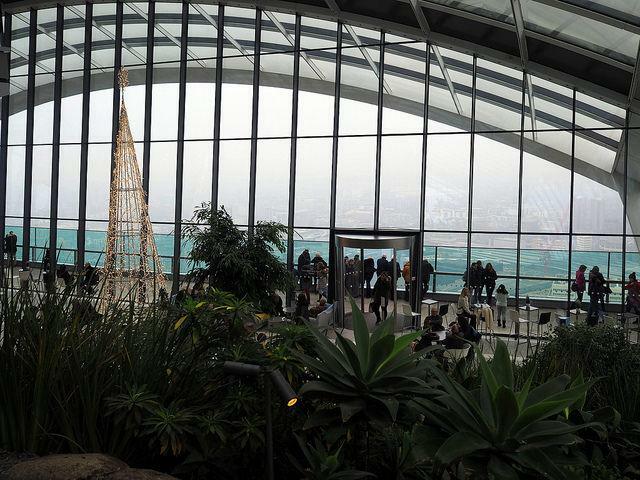 On a long layover in one of London’s airports I would recommend making Sky Garden as your must-visit attraction. Sky Garden is a unique shaped building with one of the best views in town. It offers an exceptional experience because you could be drinking a delicious cocktail at the garden bar while overlooking the London skyline. In just one place you can view St. Paul Cathedral, London Eye, Big Ben, Shard and more iconic tourist attractions, which is why visiting Sky Garden is great if you only have few hours to spend in city center. The visit is free of charge; however, you need to book a ticket 3 weeks in advance, so planning is the key if you want to visit Sky Garden. I promise, it’s worth it! If you have a long layover in Madrid, you’re in luck, because everything you’ll want to see is in one place. The airport itself is pretty out of the way, but an hour and a half on public transport (or a 15 minute cab) will get you right in Madrid’s center. If you’re like me, you don’t have a whole lot of energy when you travel (outside of the actual traveling), so Retiro Park (my favorite place) is the perfect stop. And if you’re not like me, and want to go to where the people are, Retiro Park is great for you, too! 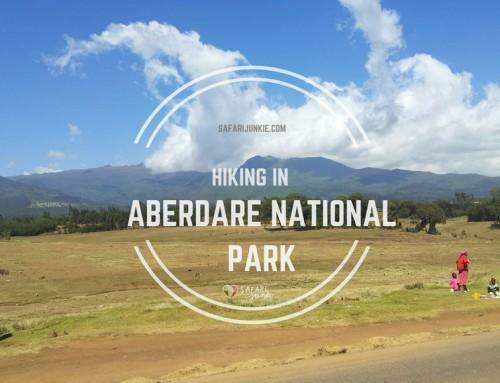 The nature of the park itself is beautifully curated, and stretches on and on, making it the perfect place to stretch your legs between flights. There’s always something going on, be it musicians or dance clubs or people out for a day in the park. If you have a couple euro, head to the Monument to Alfonso XII (pictured) and you can paddleboat across the lake under Spain’s beautiful sky. 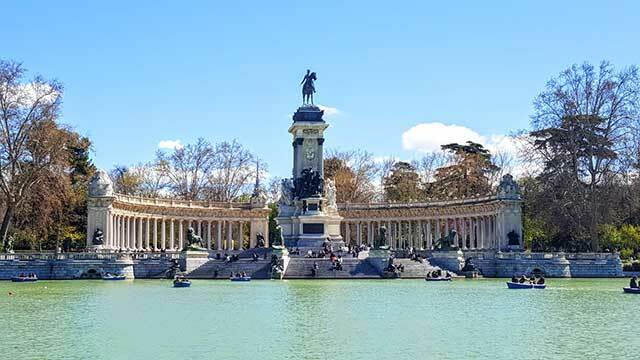 If Retiro Park isn’t for you, it’s right in the middle of everything; grab a bocadillo at a restaurant across the street, walk Gran Via, Spain’s most famous street, or just look around at Madrid’s beautiful monuments. Everything in Madrid Centro is a short walk/metro ride away. At first glance, escaping Brussels International Airport on a long layover may not seem feasible. It’s located far from the city centre, taxis are notoriously expensive in the European capital, and the traffic on the ring road can make driving times unpredictable. Luckily, in the airport’s basement is a train station with direct connections to central Brussels’ three main stations. 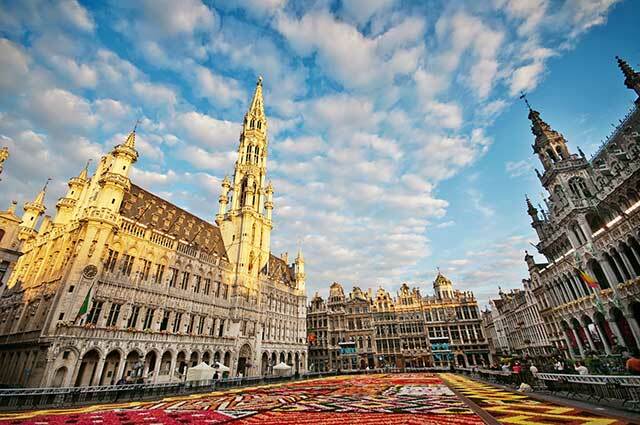 In 10-15 minutes you can exit the train at Brussels Central Station and be steps from the UNESCO-listed Grand Place where you can marvel at the ornate architecture of the guild houses on this spectacular square. Inside the Maison du Roi you’ll find the recently updated Brussels City Museum, filled with art and artefacts from this amazing city. One wing is dedicated to costumes given to Brussels most famous statue, Manneken-Pis. You can visit the little peeing boy yourself, a few blocks away. Browse the boutiques of the Galeries Royales Saint-Hubert, Europe’s oldest covered shopping arcade, and discover why Belgian chocolate is the best in the world. A short walk to Place Sainte-Catherine will put you in the heart of Brussels’ seafood district. Grab a grey shrimp croquette, a local delicacy, from the legendary Mer du Nord fishmonger. Pair it with a glass of white wine and enjoy them in the shade of the Sainte-Catherine Church. Bari is the largest and most import city in Apulia (Ita: Puglia), Italy served by an airport located about 8 km / 5 miles from the city. 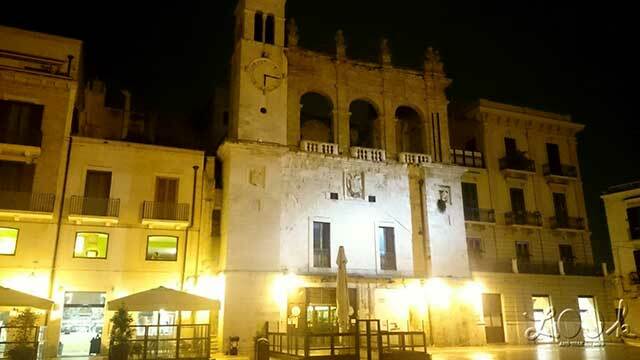 Which is perfect if you end up with a long layover here you can easily explore Bari. Hop on a train to Bari Centrale. The ticket is 5 euros one way and the ride takes 17 min. Once you get out of the station, you’ll notice, to the right, the main railways station, and in front of you a bus station. Beyond the bus station is a roundabout. Make sure you get opposite the main train station and walk on the street up to Corso Vittorio Emanuelle. That’s another 12 -15 min walk but you are more than welcome to stop and do some people watching and window shopping. When you cross the street, make a right and continue all the way to the gateway into the Old Town. 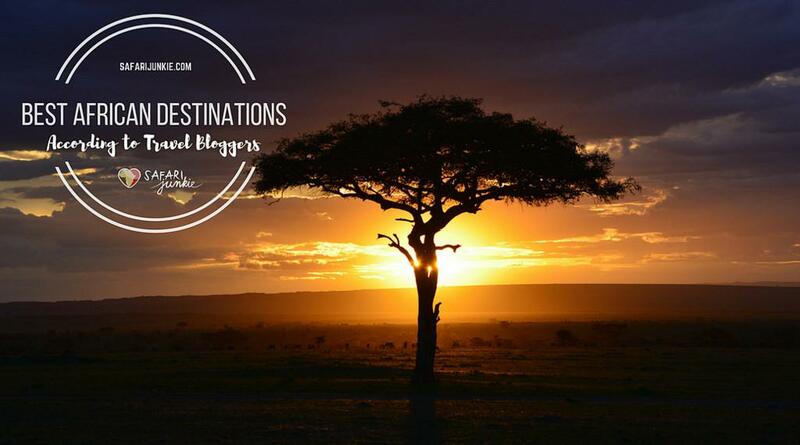 Now you can stop to take photos, enjoy the view, eat something, explore at your heart’s desire. When you enter the Old Town, you’ll also notice, to the right, the tourist port. Worth some of your time, too. All in all, you need about an hour and a half to two hours to get to /from the airport. The Munich Airport is not exactly in the city center but with a long layover, it is possible to see many of the historic city center sights. Just hop on the trains that depart every 15 minutes from the airport and arrive at the central station, Hauptbahnhof, in 50 minutes. Within walking distance from the station (or a quick, one-stop ride on the U- or S-bahn), visitors can start exploring the rich history of the Munich’s Old Town, starting in Karl’s Square (Karlsplatz). 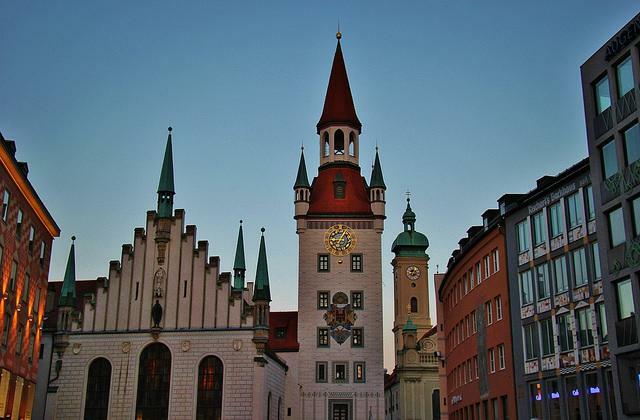 Munich as founded in 1158 – and until the 18th century, the city was fortified with defensive walls. The walls no longer stand, but the ornate churches, beautiful buildings, quaint lanes and beer gardens built within them still do. Many of Munich’s iconic sights – like the Cathedral of Our Dear Lady (Frauenkirche) with its recognizable onion-domes and the New Town Hall and Carillon (Neues Rathaus and Glockenspiel) on Mary’s Square (Marienplatz) – are clustered together, making it easy to see several sights, even with limited time. And, what would a trip to Munich be without stopping at the Hofbrauhaus for a stein of beer and a pretzel? Well with even just a five-hour layover in Munich, it’s possible! A stopover in Finland is an excellent choice when travelling between Europe and Asia or viceversa. Finnair often has competitive prices for destinations like China, Japan and Korea, and it allows you to stopover for free for a period between 5 hours and 5 days. 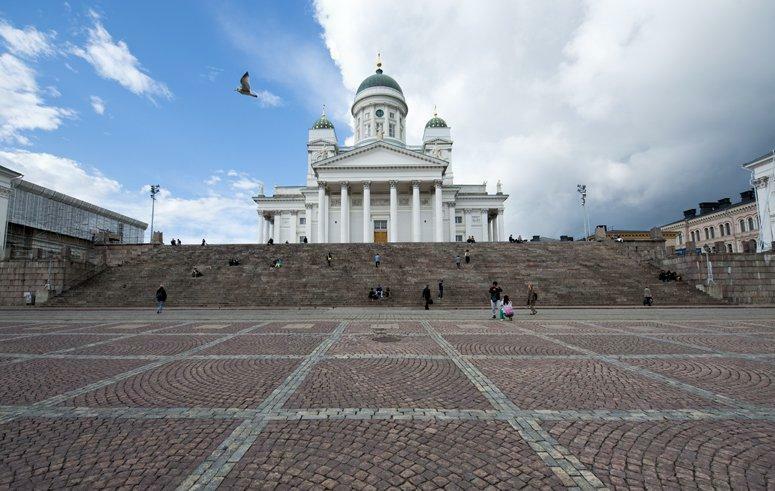 The capital city Helsinki is perfect for a short stopover – even if you only have 5 hours you can head into town with a bus, as the ride is only 30 minutes, and have a look around. In winter the city is covered in snow and the sea freezes, but it’s the perfect time to indulge in Finland’s favourite pastime – sauna! Or you can simply walk around, visit the compact city centre and maybe a museum before making your way back to the airport. In summer, if you have a day or two you can visit one of Helsinki’s 300 islands and spend some time surrounded by nature, another thing that Finnish people really love to do. A great place in Helsinki that can be visited even on a short stopover is Suomenlinna, a fortress island located just a short ferry drive from the city center. With the addition of a number of flights connecting Europe with the US and word spreading of spectacular sights at every turn, Iceland has become a travellers hotspot and for good reason. 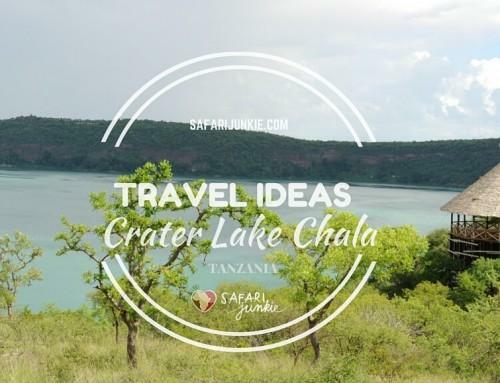 Though this beautiful country is deserving of much more time, it is still worth spending a day as you connect from one continent to another and fortunately, one of the countries most iconic sights is well suited to a quick stopover. The Blue Lagoon has been recognized as one of the top 25 wonders of the world and conveniently is connected to the international airport by frequent and comfortable buses. As you arrive at this thermally heated marvel, any travel stress instantly melts away – you can’t help but relax in the soothing waters. 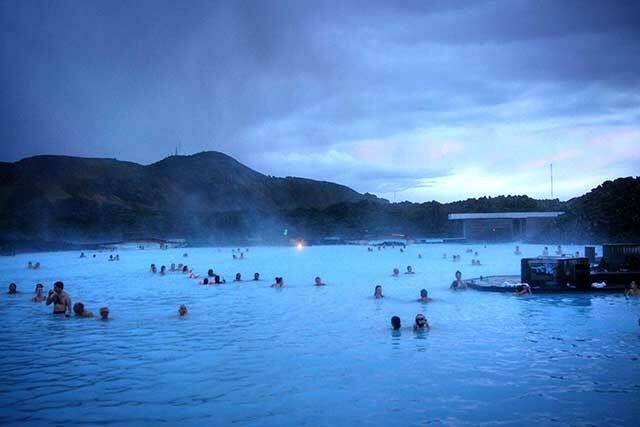 Rich in minerals, not only are the warm lagoon waters comforting and a welcome respite from the cold, but they do wonders for your skin.If you do intend to visit the Blue Lagoon on your Reykjavik layover, ensure you’ve planned well in advance as tickets for the lagoon often sell out. 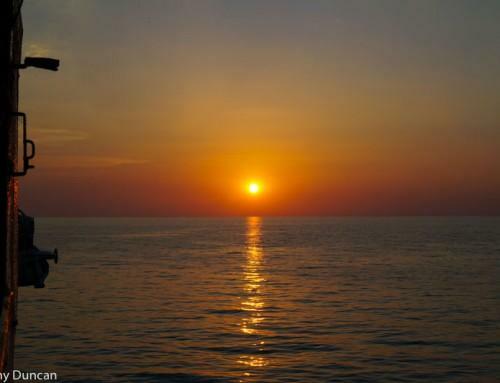 How do you deal with long layovers? Leave a comment below. Wow, I didn’t realise there were so many options of things to do on stopovers! I usually end up just chilling a the airport but I will definitely have to make more of an effort next time. I sort of did a stopover in Beijing – I got off the Trans-Mongolian train and had about 35 hours until my flight to Bangkok so I did a speedy day hike on the Great Wall and met up with a friend who took me out for incredible Peking Duck. Mmmmmmmm! Me too! I plan to book next flight to East Africa will be through Abu Dhabi, I wanted to see that awesome mosque! Some great ideas here. I did a long layover in Abu DHabi and just booked a hotel to sleep but really wish I’d had chance to visit the mosque. On another long layover in Dallas, friends came and picked us up at the airport and we went and celebrated st Patrick’s day. Amazingly we made our flight! Sadly he passed away over Christmas but I have my memories of that trip. Long (planned) layovers are becoming a big way to see places without having to spend a lot of extra money on flights – I have yet to do it but I want to try for sure! I love how many places are covered the list! Seoul is another great layover city- only like an hour via pristine metro AND public transit is super accessible to all points in the city. For long layovers, I usually stay in the airport and make myself comfortable. The longest I’ve had was 6.5 hrs in Vancouver (in the USA terminal) and I wasn’t in a position to be able to leave the airport…. I booked myself into a nice lounge with fantastic wifi, complimentary food and adult beverages (and they were totally quality goods! ), washed up in the private restroom, and took a little nap in one of the large chairs. It was pricey, but made a crummy situation much easier! Katie we can add Seoul too. Send me an email with photo. Would love to hear your tips! 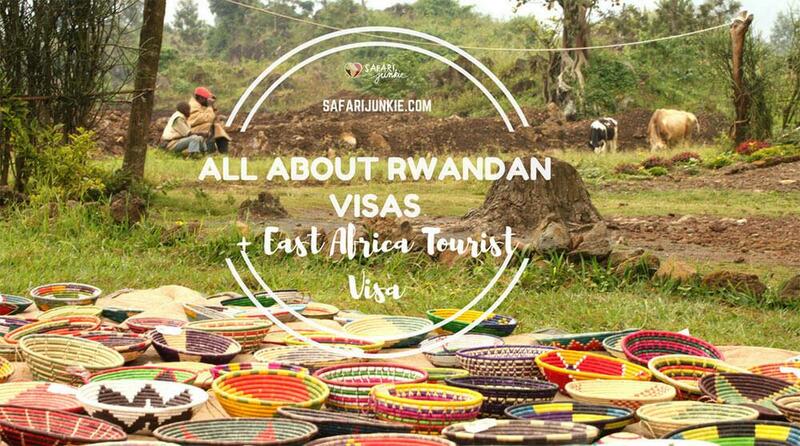 These are all excellent trips and maybe even worth to book an actual layover in your itinerary. I try to fly as much direct as possible but love to explore a new place, even for a couple of hours like this! Till now also me. Besides I dont know what it is, when i travel long hours with planes I am sleepy and tired:) But will do some exceptions in the future for sure. I dont know for others, i dont need any visa for UAE, probably depends on nationality. Maybe someone else will know more..
Wow, this bunch really knows how to make the best of their layovers. Traveling at its finest. I can’t believe the pyramids are right in the middle of Cairo, that’s crazy. I live in Munich and agree getting into the city is pretty easy. There’s also a cool airplane museum just outside the airport for shorter layovers. 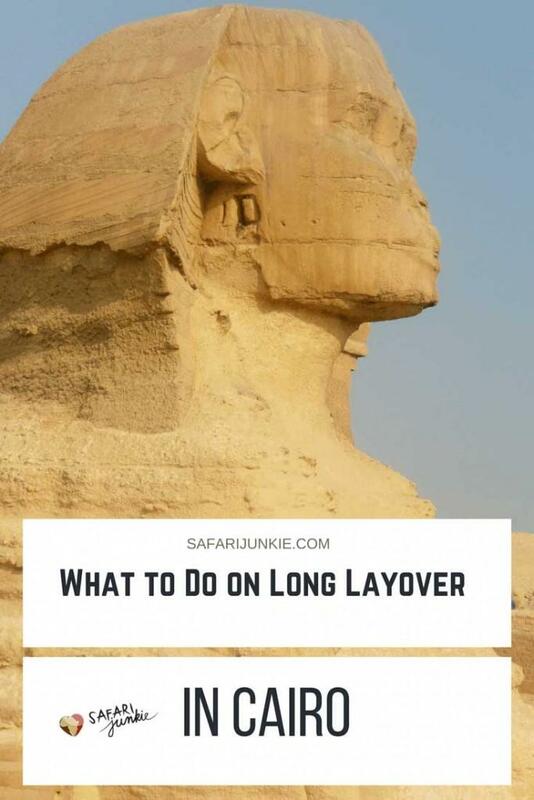 I will be using this guide for my next big layover! Tourism expenditure even for a few hours is additional income for country. Its great that options like this are blooming for layover travellers. Great ideas. I’ve been to a few of these airports and I agree that the Blue Lagoon is very easy from the Reykjavik airport and totally worth doing. I think it took us a 10 minute drive to get there from the airport. Cities like London or Mumbai though the airports aren’t that close to the centre. You need to factor in extra travel time because traffic could be a nightmare or then again it may not. It’s a complete gamble so harder to plan. Blue Lagoon is a winner in terms of proximity to the airport. And looks really good! Thanks so much for featuring us and Brussels. 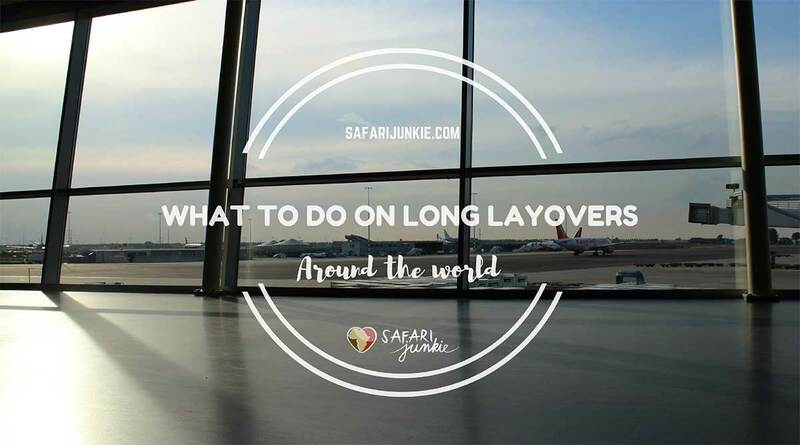 There are so many excellent layover ideas here, I almost hope my next flight has a long stopover! I personally dont like layovers probably because i was always caught through the night at the airports so far. Day layovers are different story. Great idea for a post! Thanks for this awesome amount of info!! I think I am going to start looking at flights with long layovers so I can go exploring! This is perfect. Long layovers are dreadful. Thanks for sharing this! You’re a genius.